What would it be like to see a sunset on Mars? Not all that spectacular really. 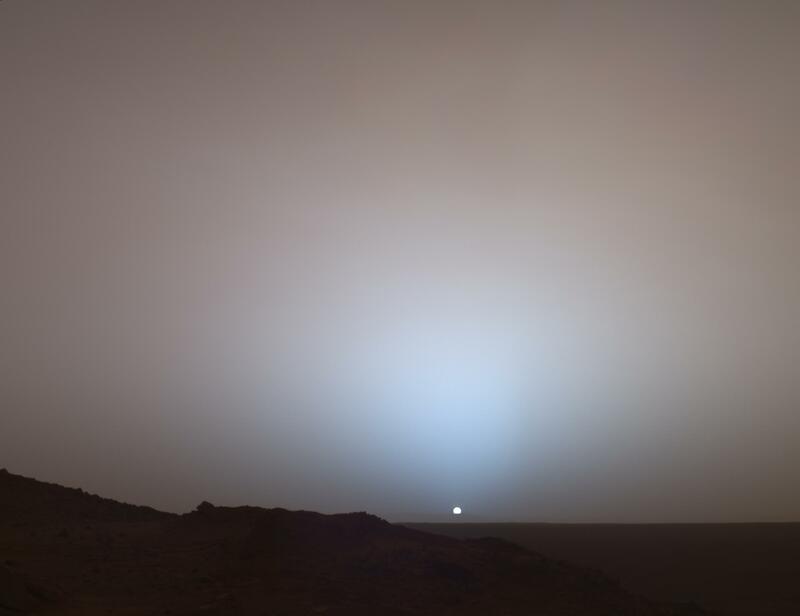 Interestingly, the colors of a Martian sunset are almost the opposite of a sunset here on earth with the sky being a reddish hue and the glow around the sun being blue.